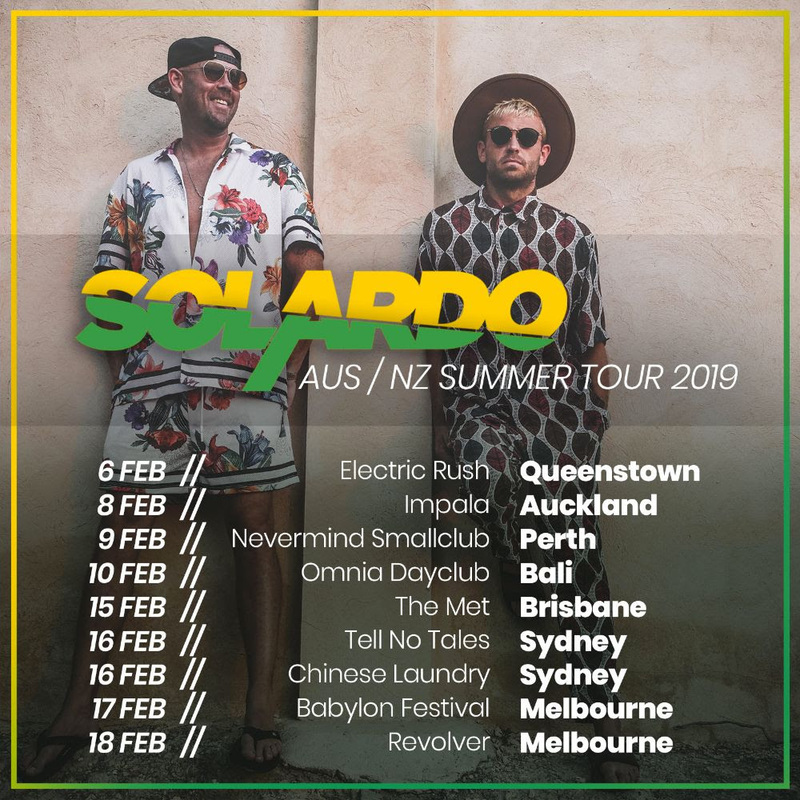 House aficionados Solardo (MRK1 & James Elliot) will return to Australia this February, following on from their last appearance downunder in January 2018. Playing a range of dates across various cities including Perth, Brisbane, Sydney, and Melbourne, the duo will precede the tour with two dates in New Zealand, playing Queenstown and Auckland on 6th and 8th February. Having kick-started 2019 in style, with a hectic run of North America dates across New York, Chicago, San Francisco, Miami and the birthplace of techno – Detroit – Solardo steamrollered their way to numerous successes last year. Selling out The Warehouse Project in September, they went on to sell out London’s Studio 338 venue with their brand new event series HIGHER. The pair also enjoyed a second sold-out Solardo Sessions tour, bringing their energetic sets across Europe and The UK on the back of a summer residency at Hi Ibiza. With their Sola label going from strength to strength, the duo have even found time to start their own radio show named ‘The Spot’ which has seen special guests come through such as Claude VonStroke, Nicole Moudaber, Skream, Andrea Oliva, Nic Fanciulli & more. With a set at Nevermind in Perth kicking things off on 9th February, the pair will also perform at The Met, Tell No Tales, Chinese Laundry, Babylon Festival, and Revolver, before bringing their house-driven grooves to Europe in March with an eagerly anticipated set at Pacha Barcelona. Tickets for Solardo’s forthcoming Australia & New Zealand tour can be purchased here. LALA LALA + WHY? share collaborative single “Siren 042” & accompanying video. Lala Lala UK tour next month!